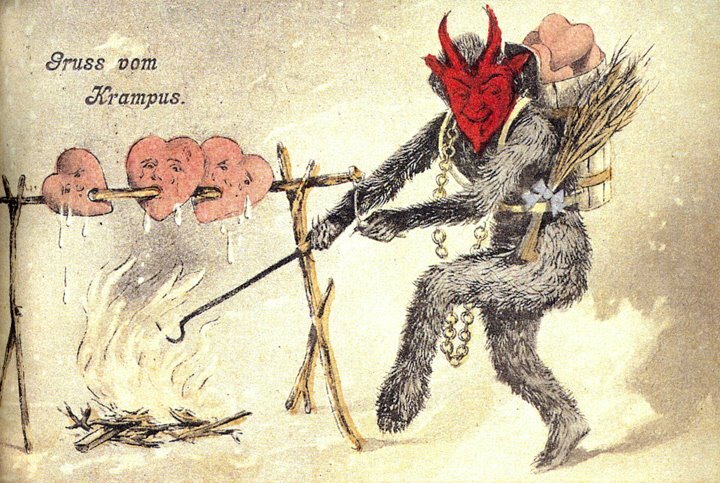 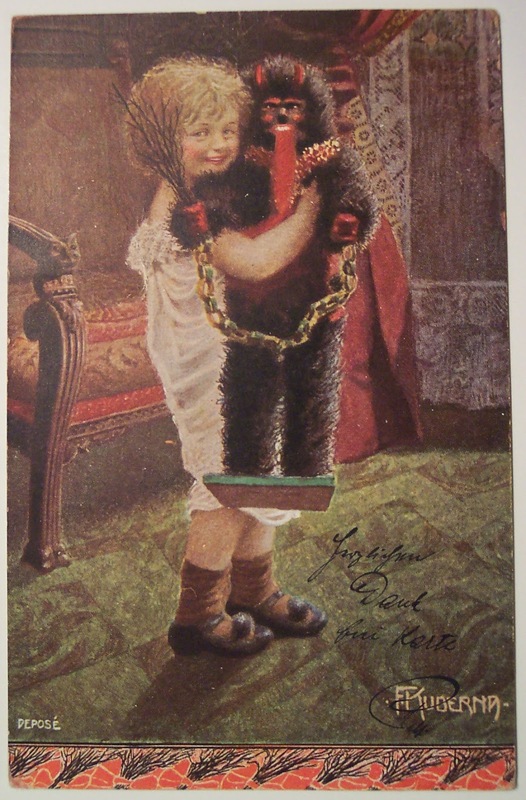 Merry Christmas from Krampus--St Nicolas' Eastern European, cloven hooved, birch-switch bearing sidekick--and all of us at Morbid Anatomy. 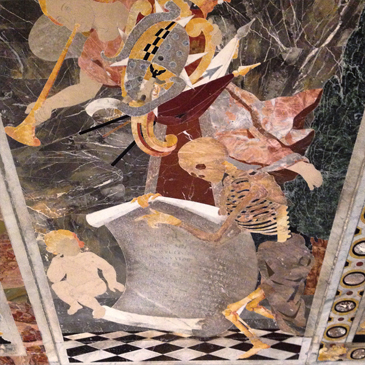 The Museum is closed today, but will be open regular hours tomorrow, December 26. 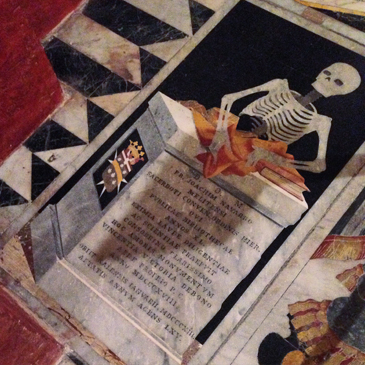 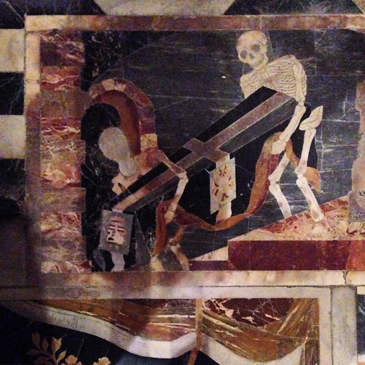 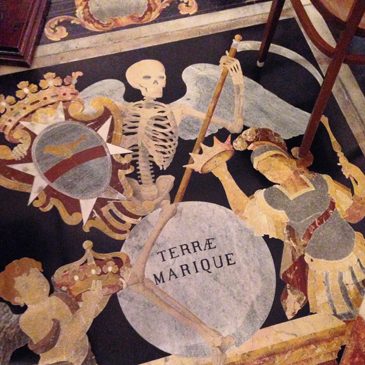 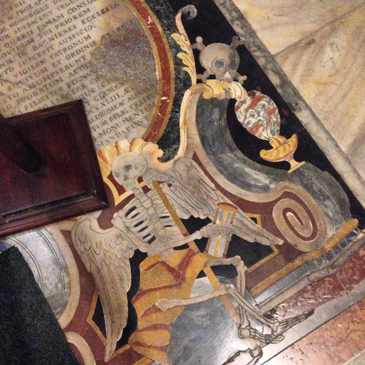 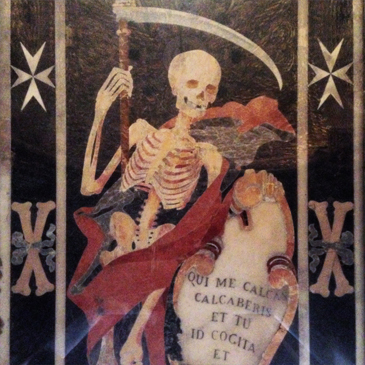 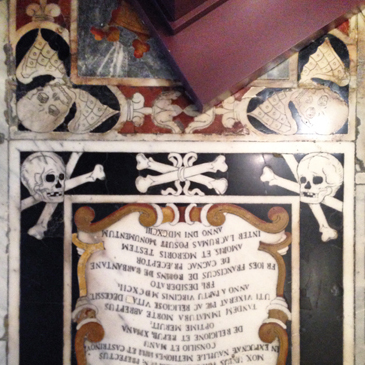 In the following guest post, Morbid Anatomy foreign corespondent Eric Huang reports on the graphic depictions of death in the churches of Malta! 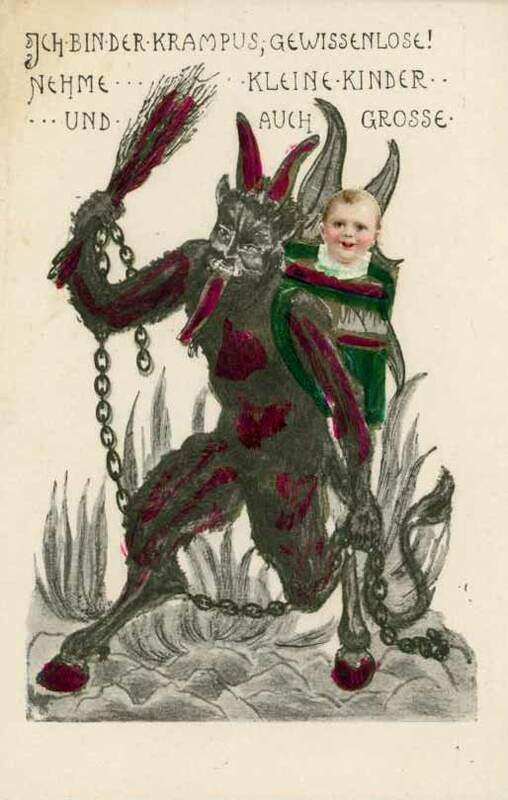 All photos are also his own! 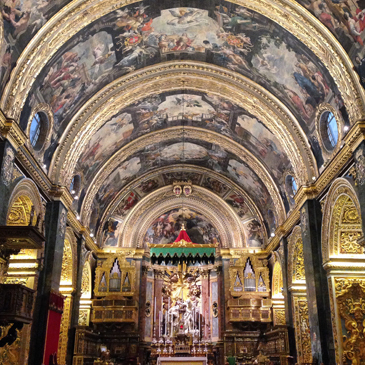 Malta is a devoutly Catholic nation: a Mediterranean island between Sicily and North Africa. 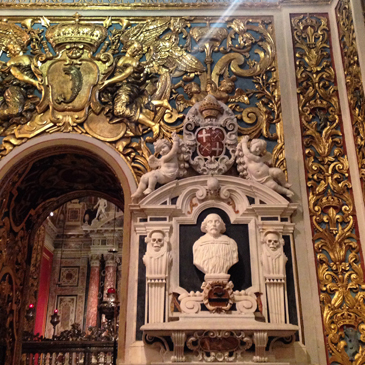 Saint John’s Co-Cathedral in the capital city, Valletta, is the crown jewel of Catholic Malta. 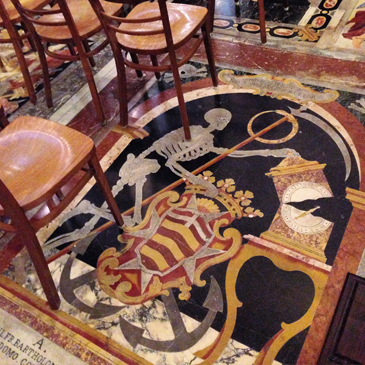 Built in the 16th century by the Knights of Malta, a Catholic military order whose sole mission was to protect the Holy Lands from so-called ‘infidels’, the cathedral is a spectacular assembly of monuments exalting powerful clergymen. 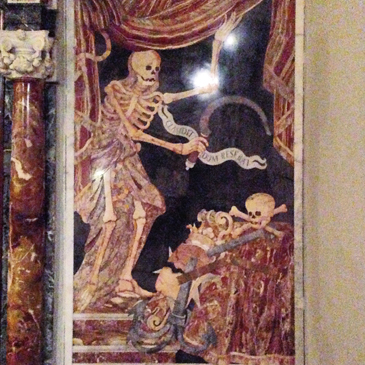 Death’s heads abound - as do graphic representations of human skeletons, used as motifs in borders, frames, and accents. 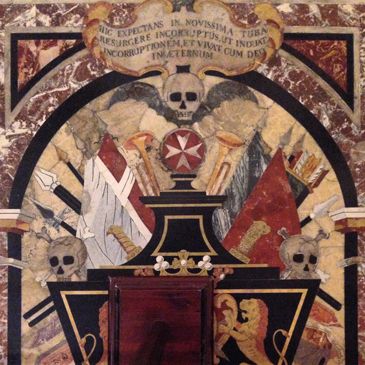 Most striking, however, are the grave markers of the Knights of Malta themselves. 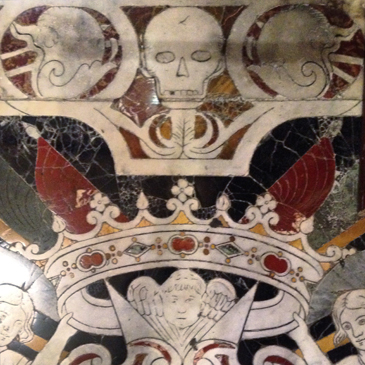 All are intricate marble-inlay mosaics with diverse depictions of Death alongside Catholic angels, crucifixes, and prayers. 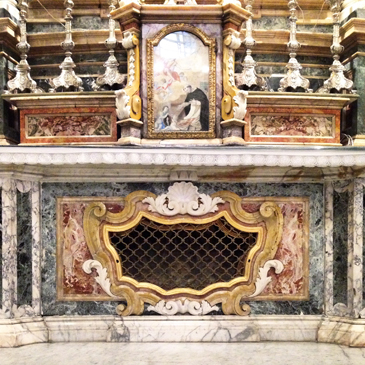 The Oratory also features two Caravaggio paintings: The Beheading of Saint John the Baptist and a memento mori painting of Saint Jerome. 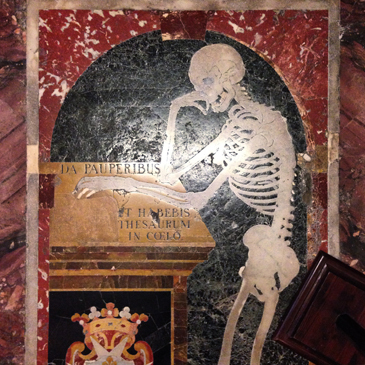 Malta is well worth a visit for the sacred art and body parts of saints scattered across various churches and museums, including the former residence of the Grand Inquisitor. 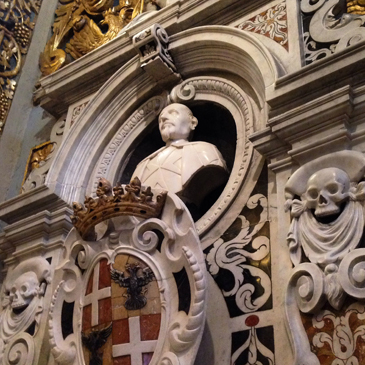 The high baroque décor and Death’s head imagery evoke the horror and beauty of the Catholic church like nowhere else.